Have you been thinking about planting cherry trees? They are grown for two reasons. Often, people are growing cherry trees because of the delicious fruit. Sometimes, however, people plant cherry trees because they are beautiful when they blossom in the springtime. 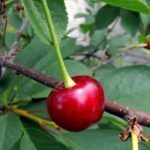 Let’s look at how to grow a cherry tree in your garden. Planting cherry trees requires well-drained, fertile soil. Cherry trees are very susceptible to root rot, so the soil needs to be drain well. They also require about eight hours of sunlight daily, so you cannot plant them where they will grow in the shade of other trees. Any cherry tree care manual will tell you that sour cherry trees are self-pollinators. This means they do not require more than one tree to produce the fruit. However, if you plant the sweet variety, you will need at least a couple of trees for proper cherry tree pollination. Make sure when growing cherry trees that you plant them in higher ground. 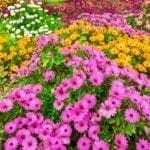 You don’t want them planted in low lying areas because these areas get more frost during the early spring. The blossoms of the growing cherry trees are very susceptible to frost damage, which lowers your fruit crop. Sweet cherry trees bloom earlier than the sour variety, so they are also more susceptible to frost damage. Also, when thinking about cherry tree care, you should remember to have the trees pruned so they produce a good harvest of fruit. Properly pruned cherry trees produce better fruit and in more quantity. Birds love cherries. 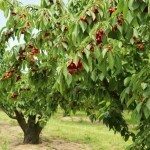 Because of this, you’ll either have to share your cherries with the birds, or cover your tree with netting to prevent the birds from getting at your crop. Sometimes, you can prevent birds from taking as much by hanging scare devices, like aluminum pie pans, from the limbs of the tree. When harvesting your growing cherry trees, taste the cherries before picking them. Sour cherries are soft and juicy when they are ripe. Sweet cherries are ready when their color is uniform and they have a sweet flavor in a meaty fruit. Harvest your cherries with the stem attached. This helps retain their freshness after you pick them. Also, they keep better and longer if the stem is still attached after harvest. Cherries can be used in all sorts of things. You can make jams, can them, or just eat them plain. Sour cherries are the perfect pie cherry. Just keep in mind the cherry tree care that these trees need and you should end up with a great crop.